This is the one! 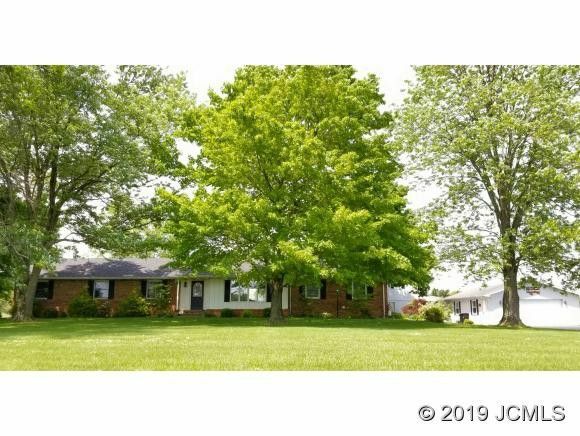 Delightful 2486 Square foot on one level, 4 bedrooms, 2.5 baths, 24 X 40 garage with HVAC, 24 x 40 barn with 40 ft lean too and a man cave in loft, 16 x 32 gardening shed and 8 x 12 storage shed . All this on 2.5 acres, just minutes from the Madison hilltop. Huge deck with direct access to half bath, New: Trane Duel Fuel HVAC, Gas Logs, blinds throughout house, exterior paint on buildings and some interior paint. HVAC installed in June 18, only on second tank of propane. Gas budget not available. Lots of storage space and closet space! Put this on your must see list!